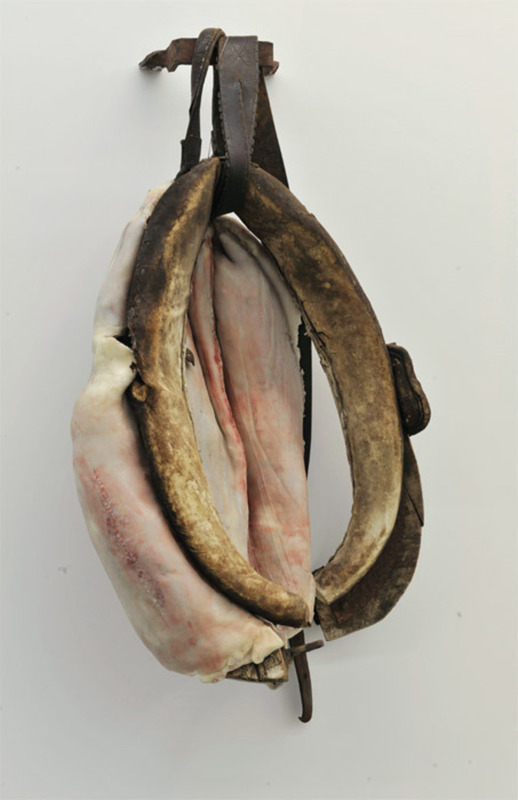 Berlinde De Bruyckere, The Wound II, 2011–12, wax, epoxy, leather, wood, horse hair, fabric, and iron, 45 1/4 x 24 3/4 x 12 1/2". From the series “The Wound,” 2011–12. Arter.